HCM CITY – Improving the quality and safety of animal husbandry products remains a major export priority in Việt Nam. Nguyễn Xuân Cường, Minister of Agriculture and Rural Development, said that competition in the animal meat market required products not only to be of high quality but also affordable. The country has about 23,000 farms, but only 1,505 facilities have received certification from the ministry as being free of epidemics. Dr Nguyễn Thanh Sơn, former director of the National Institute of Animal Sciences, said that better linkages between producers, processors and consumers would contribute to the sustainable development of animal farming. He said the role of business associations and co-operative groups in monitoring production, processing and selling of animal goods had been insignificant. Instead, governmental authorities had been doing most of the work, so agricultural monitoring would need revamping, Sơn added. In addition, processing and distribution among pig farms is still weak, which were the main reasons for the pig surplus crisis at the end of 2016. 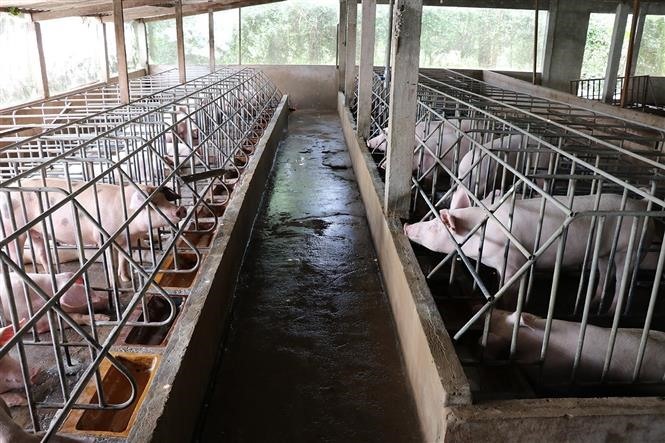 In 2017 and 2018, several firms invested in farming models that connected various parties and modern processing technologies, such as MASAN’s new pig slaughterhouse and processing facility in Hà Nam Province, which opened on December 23 with a capacity of 1.4 million pigs per year. However, many farmers cannot satisfy big companies’ technical requirements and lack modern animal farming facilities, leading to a higher vulnerability to disease. From 2016 to 2018, a safe farming project was implemented in several provinces such as Thái Bình, Đồng Nai and Bà Rịa – Vũng Tàu. About 134 farms were certified as safe from epidemics, and many working groups were formed. Also, about 21 kinds of animal farming models helped ensure protection against disease. Thousands of households and businesses also took part in training sessions and were supplied with equipment and medicine. Cường said the Ministry of Agriculture and Rural Development and the Ministry of Industry and Trade wanted to improve pork exports and were working on facilitating trade with other countries, including exports of raw pork. Nguyễn Xuân Dương, acting director of the Animal Husbandry Department under the Ministry of Agriculture and Rural Development, said the industry should work on linking farmers with firms and reduce the number of small farms operated by one individual. The market also needed to be monitored more closely so that businesses, farmers and customers could be informed, he said. Animal husbandry exports in the first 11 months of 2018 totalled about US$508 million, 12.9 per cent higher than 2017, according to the Ministry of Agriculture and Rural Development.